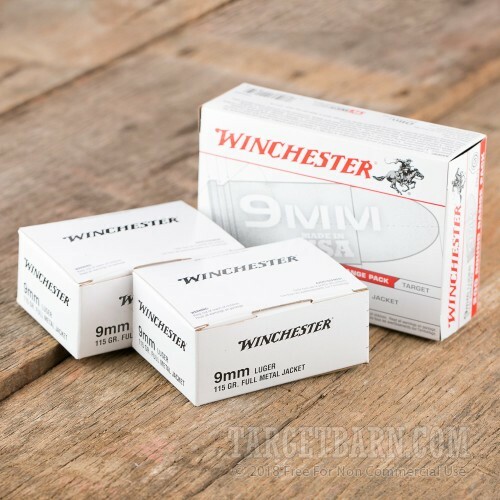 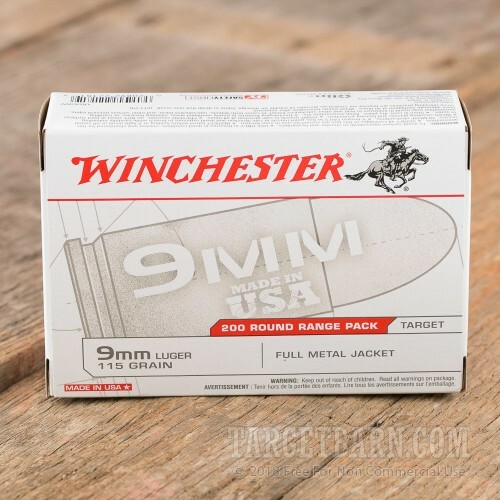 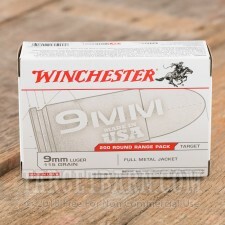 Winchester "white box" ammo is tough to beat for cost-effectiveness. This bulk pack of 9mm Luger ammunition contains 1,000 rounds divided into 5 boxes of 200 each. 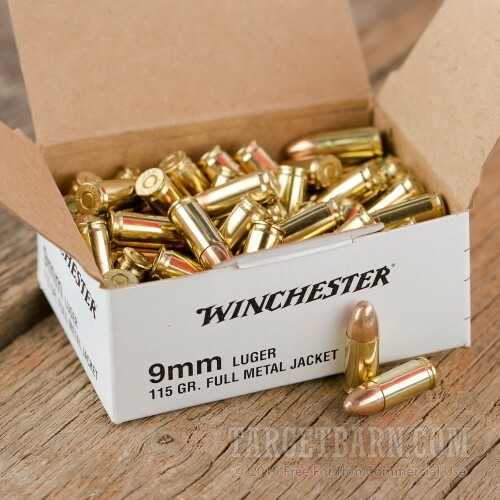 Each cartridge fires a 115 grain full metal jacket bullet at a high muzzle velocity of 1,190 feet per second, producing slightly above average recoil and great accuracy. 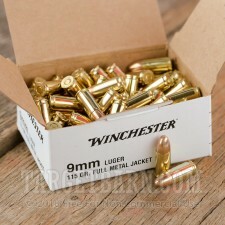 An excellent (and inexpensive) stand-in for costly carry ammunition at the range!